It’s been one hell of a year for videos. With the Cult video at the start of the year, Deadline just recently, and now the Markit DVD. 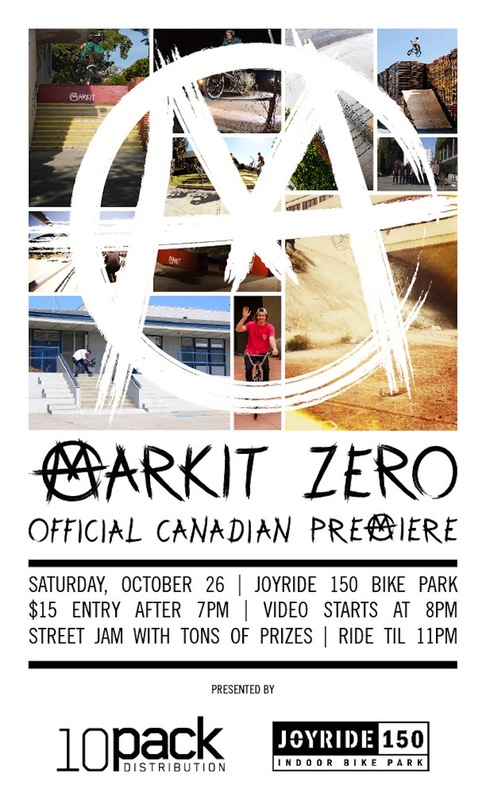 They premiered it at Austin, TX this past weekend, and now Ten Pack Distribution are bringing it to Canada and we’ll get to see it for the first time this Saturday, October 26th at Joyride 150. It’s $15 for the session after 7:00pm, and the video starts at 8:00pm. There will be a jam in the street room and you can pick up a copy of the DVD at the premiere. If you’re in the GTA make it out for what should be one hell of a video. Check out the Facebook event here, and we’ll see everyone there.